The vessel is designed with four LNG powered generators delivering 280 kVA. The use of LNG lowers the operational costs of the vessel by at least 15% compared to conventional alternatives. The vessel is designed with the Damen-patented air lubrication system fitted to the bottom of the hull. Air chambers reduce the wetted surface of the vessel, resulting in a 15-25% reduction in required power. The use of LNG results in reduced emissions of the following: CO2 - 24%, NOx - 84%, SOx - 100% and particulate matter - 95%. 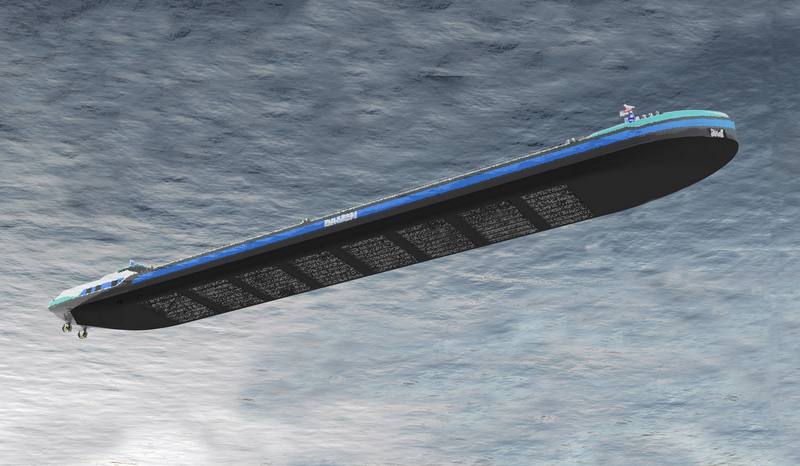 A vessel running purely on Liquefied Natural Gas (LNG) lies at the heart of this pioneering concept. Permission to use LNG as fuel on this vessel has been granted by the Central Commission for the Navigation of the Rhine and the United Nations Economic Commission for Europe (ADN-UNECE). 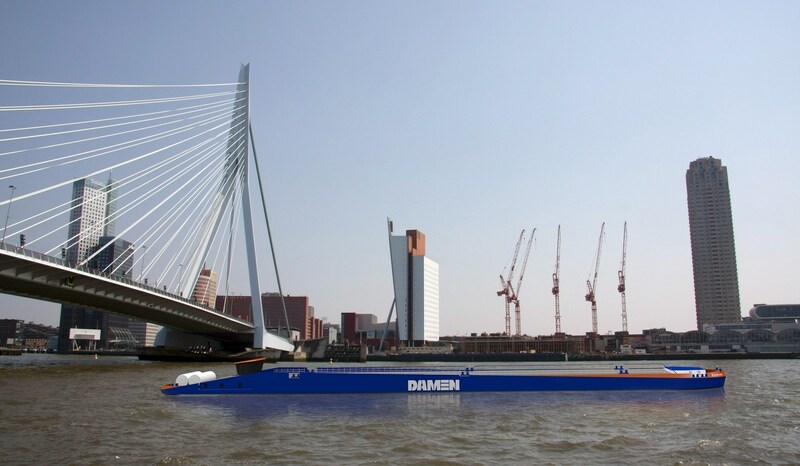 This means that the vessel can travel on all the relevant international inland waterways. The LNG concept operates in tandem with another innovation, the air lubricated hull ‘ACES’. Working in combination, these innovations lead to astonishing fuel savings and emissions cuts.